Former McLaren and Ferrari driver Kimi Raikkonen could return to Formula 1 next season with Williams. The Finn quit F1 at the end of 2009 to try his hand at world rallying but after two frustrating seasons he has had talks with Williams about joining them for 2012. 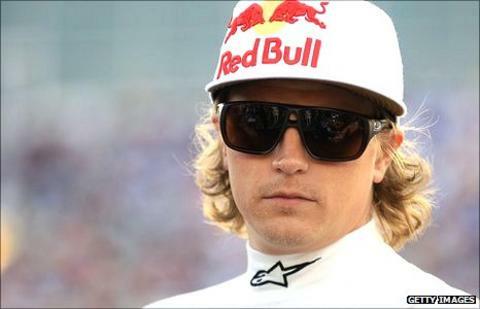 BBC Sport understands that Raikkonen is keen to join the team and Williams are weighing up the idea. Raikkonen, 32, would partner Venezuelan Pastor Maldonado at Williams. Maldonado is in his first season, but the team's sponsorship with his country's national oil supplier is understood to guarantee him a seat. The veteran Brazilian Rubens Barrichello is Maldonado's team-mate this season, but his future with the team looks shaky. The 39-year-old wants to stay on for a 20th season in F1, but sources say Williams are leaning towards not retaining Barrichello. The Williams team would not comment on the situation. One potential stumbling block is whether Williams and Raikkonen can come to an agreement on the size of his salary, but the team is hoping that his presence could attract new backers, which could help the move make financial sense. Williams are having the worst season in their history in 2011 and currently lie ninth in the world championship with only five points. Only the three teams who were new to F1 in 2010 are beneath them. But it is believed that Raikkonen is serious about returning to F1 after failing to match the pace of the front-runners in the World Rally Championship and he has few options. There is no space at any of the top four teams and although Williams are struggling they have strong engineering depth and are restructuring their team and Raikkonen is believed to consider that they are a good option for him. The Finn left Ferrari at the end of 2009 after the team paid off his contract to make room for Fernando Alonso. He won the world title for the Italian team in 2007, but his form dipped in the following two seasons and he was beaten by team-mate Felipe Massa. After making his F1 debut for Sauber in 2001, he won 18 races in five years at McLaren and three at Ferrari.